Available at newstands practically nowhere. 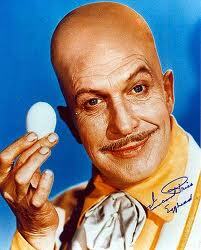 Vincent Price as the villain Egghead, from original Batman TV series. Accordingly, as I am fond of saying, The New Yorker is “for eggheads.” That’s good and bad news. While in the process of defining the term, it occurred to me that only an egghead would spend any amount of time thinking about how to characterize an individual who thinks too much. However, that’s doesn’t quite get us all the way there. In American slang, egghead is an anti-intellectual epithet, aimed at out-of-touch academic guys who know the difference between Lexus and Linux. Nowadays we say elitist (political), and geek or nerd (social). This goes a long way toward proving that in order to call someone an egghead, you’ve got to be one yourself. On the average day I visit more than 100 websites ranging from ABC News to The Onion to Vice Magazine, and often stop by The New Yorker. Dot com. One of my favorite contributors to any outlet is The New Yorker’s Louis Menand, who writes book reviews and A Critic At Large: articles with a general focus on literature. 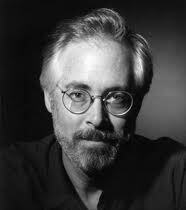 He has written about Donald Barthelme, James Joyce, Thomas Pynchon, Jean-Paul Sartre, Hunter S. Thompson, and he penned a brilliant review of the Chicago Manual of Style that includes a scathing damnation of Microsoft Word, which all said, should pretty much slam-dunk the lid on my case for egghead credibility.4 At any rate, The New Yorker, unlike other similar subscription websites, does not have a limit on free page views, and maybe Noel Bancredi can give them a kudos for that. You’re Reading This, I’m Writing This, and How Did That Happen? Those who come from the id part of spectrum are the “neurotics” who use diaries to keep secrets, and ruminate over personal failures and short-comings. Their shelf-life in the diary game is also brief, Menand says, “since the last thing most people want to do with their unconsummated longings and petty humiliations is to inscribe them permanently in a book. They want to forget them, and so they soon quit writing them down. Most people don’t confess; they repress.” Theoretically, I’ve postulated that it would be possible for an id-type to stick with the diary as long as they remained focused on complaining about other people, rather than trying to endure on a meager diet of self-loathing.